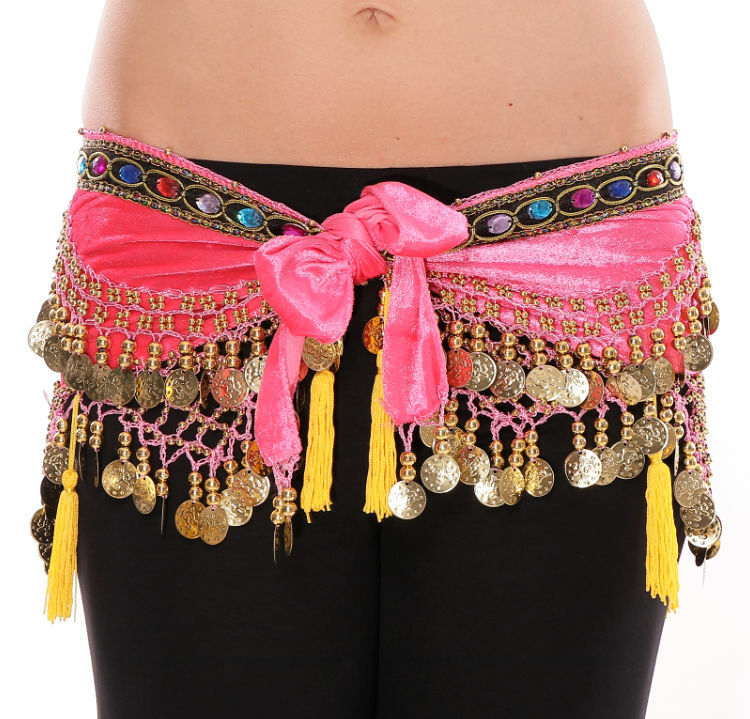 This lovely pink rose colored velvet hip scarf is a great addition for Belly Dance or even Zumba class! Features a colorful jeweled trim, tassels, and coins. Very pretty and generously sized. I've received many compliments from the other members of my class, and I occasionally let some of my curvier classmates borrow it if they've forgotten theirs.